Looking for a Phuket Villa? Then you have come to the right place. "Looking for The Perfect Private Phuket Villa Rental?" 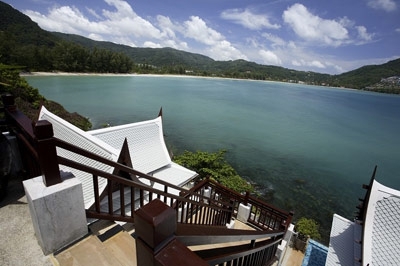 If you are looking for Phuket Villas you have come to the right place. Luxury Villas and Homes offers a selection of the finest private holiday villas on Thailand's most popular holiday island. Our stunning properties come with the latest in private facilities complemented by a full range of on-site services to guarantee a memorable vacation in paradise. Over the last 10 years Phuket has become a world class international holiday destination and boasts a vast array of natural attractions as well some of the best dining, shopping and nightlife in Asia. A range of sophisticated services, fabulous beaches and regular direct flights from major cities around the world make the island the perfect choice for an island getaway, yet its size and geography mean that despite Phuket's popularity, it still offers plenty of options for secluded relaxation. Why choose a private villa? For those in search of absolute freedom and privacy without losing out on the facilities and services of a hotel, private villas are the perfect choice. The facilities and services that villa guests enjoy not only match but even exceed those provided by the world's top beach resorts, but come with the additional benefit of total privacy and personalised comforts. Unique features such as private infinity pools, top of the line audio visual equipment and fully fitte. This exclusive portfolio of Villas, managed by Phuket Villas & Homes, has been carefully selected for their highest standards in design, decoration and spectacular locations as well as for being complimented with superior luxurious amenities, service and facilities. All of these properties will bring you the optimum privacy and luxury in a tropical and unique environment. All The Signature Collection villas have a minimum of 3 full time employees composed of an English speaking Villa Manageress, a maid and a handyman. Besides, following PVH's aim to bring you an unexpected and unique experience during your holiday, all the villas are complimented with a full time Thai Chef at your service to prepare and serve the utmost of the Thai Culinary Heritage. Thanks to 10-year track record of success in managing and renting Phuket villas, property owners approach the LVH seeking their professional management and marketing services. The company's rental portfolio therefore includes some of the best properties in Asia, with new villas continually added that offer exclusive additions such as seaview pools, children's facilities, spas and private cinema rooms to match the expectations of an increasingly sophisticated clientele. 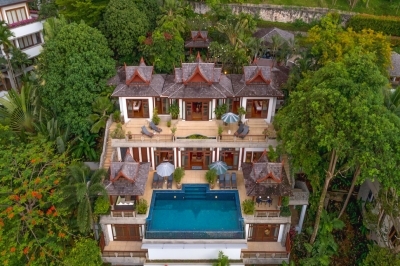 Phuket Villas tick all the boxes in terms of facilities, location and price and therefore appeal to guests looking for a full service private holiday experience, whether simply as a bespoke place to relax or even as a private wedding or party venue. Professional service staff, including private chefs and events teams make private villas the perfect choice for a wide range of guest requirements. villa boasts on of Phuket's most scenic locations on the northern headland of Kamala Bay overlooking one of the Island's most visited beaches. is a large living/entertaining area which opens directly on to the back garden and swimming pool.